Do you live in a small apartment or home? 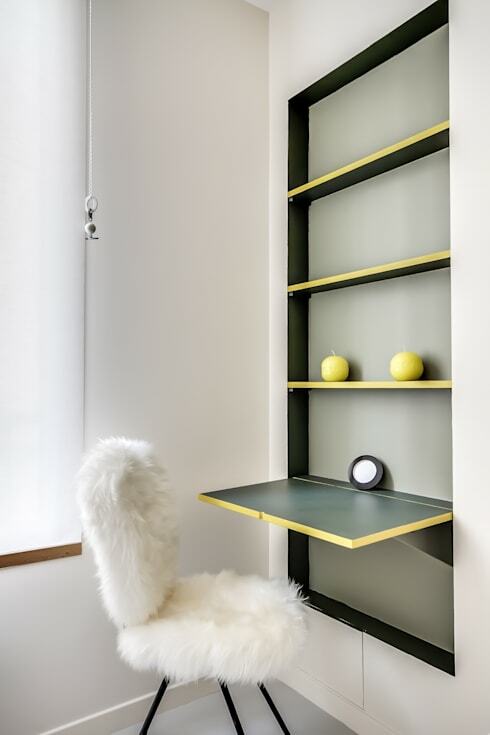 One of the biggest problems with compact living is often attempting to find space to keep all of your accessories, appurtenances and accoutrements. Often when individuals run out of storage areas in their homes, the mess easily overflows into the living zones. This not only looks chaotic, but also leads to a disorganised and jumbled domestic aesthetic. 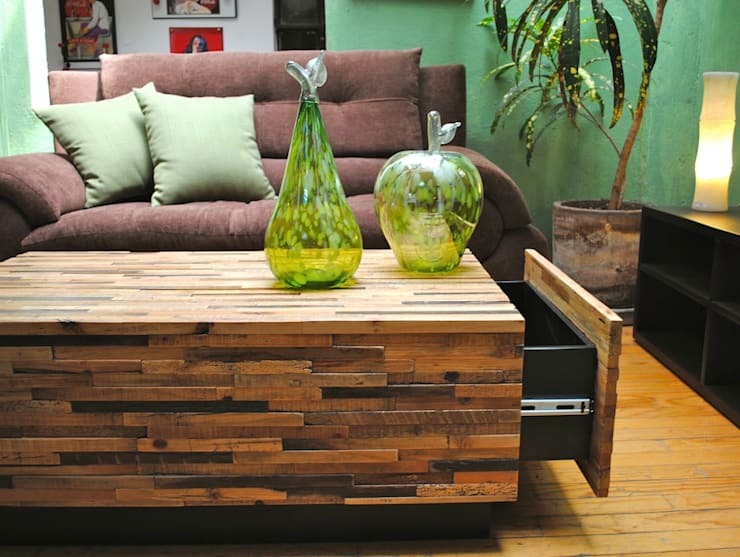 Custom furniture is a must-have for those living in compact homes. This great sofa adds plenty of space for books, while keeping all accessories off of the floor and in a neat, easy to access and organised fashion. 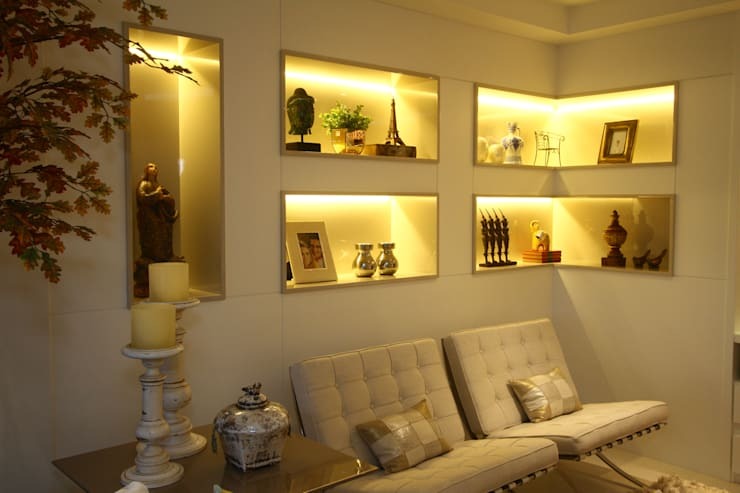 The designers of this living room have installed recessed shelving into the corner space within this home. Additionally, recessed lighting illuminates the array of curios and ornaments, adding a luxurious and seamlessly opulent aesthetic. 3. How about a hidden drawer? Just when you think you've run out of storage space you see a design like this and remember that your home's efficiency is limited only by your imagination! This wonderful coffee table boasts an inconspicuous drawer, which would be perfect for hiding remotes, magazines, books or tableware. 4. Don't forget that space under the stairs! 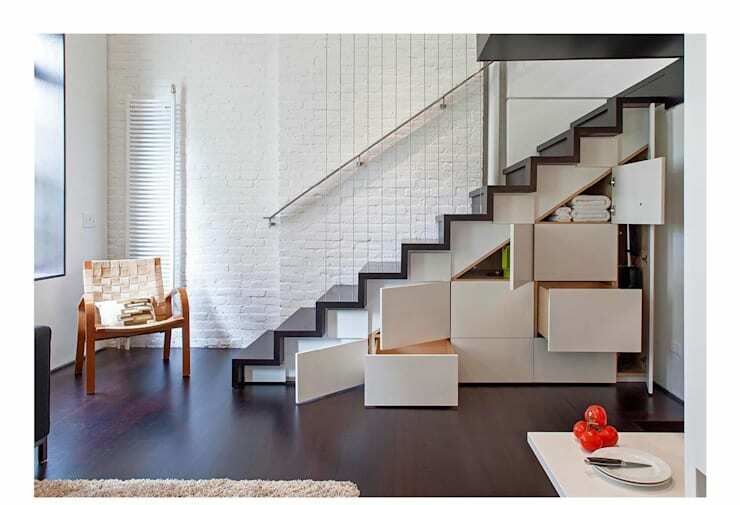 Have you forgotten about the space underneath your stairs? An area that is oft-neglected and disused, under-stair space is an excellent area to add some bespoke cabinetry, cupboards or shelves. 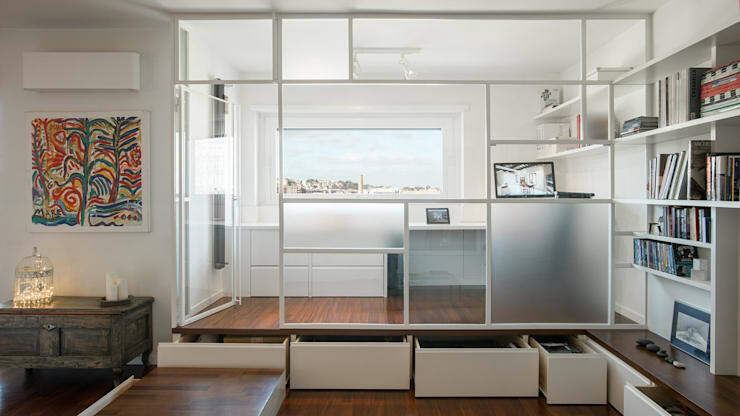 This apartment takes space-saving storage to the next level with a raised floor platform and plenty of underneath space for all manner of domestic miscellany. Is your room too small for a functional workspace? 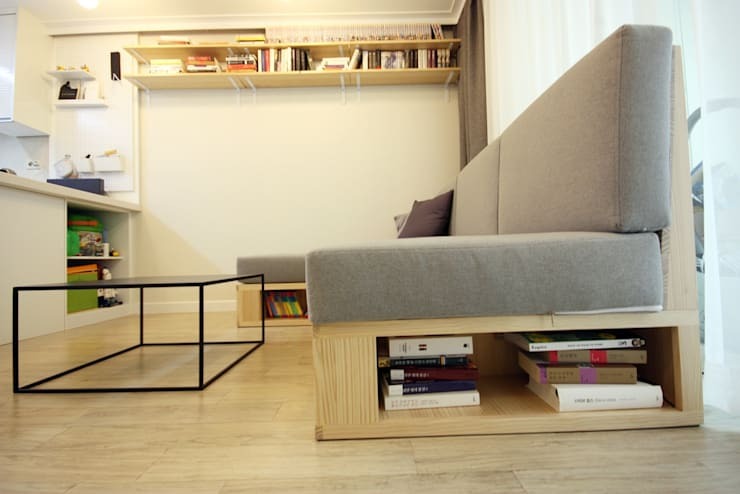 Folding furniture might be the solution you're looking for! Effortlessly tucked into a nook in the wall, this brilliant example offers functionality, versatility and style. Much like the space under the sofa, this multi-purpose bed makes the most of its shape and size to help you store all of your living appurtenances. 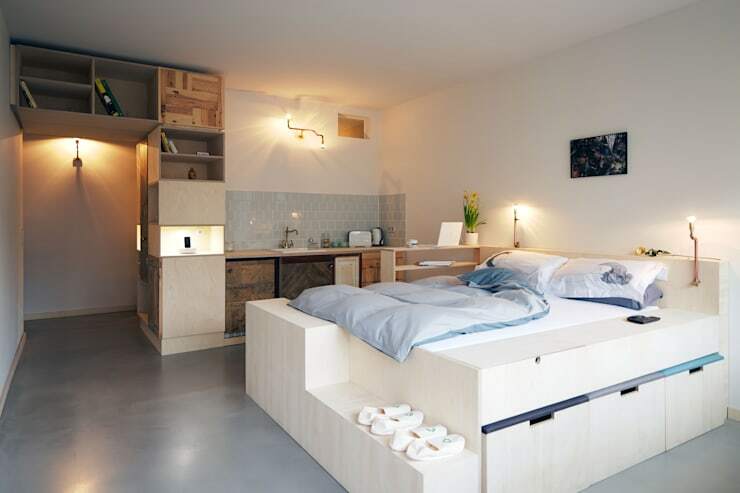 Situated in the centre of this Berlin studio apartment, the sleeping space also includes an area for house shoes, bed linen and even includes built-in side tables and lamps! Do you have any other suggestions for our homify community?